Whitening is a process where the tooth discolouration is ‘whitened’ to a lighter shade. It removes the staining agent through chemical means. It is a safe procedure when carried out under professional supervision. Treatment results usually depend on the severity of the discolouration. Both vital (i.e. live) and non-vital teeth (e.g. tooth with root removed) can be bleached. It is not effective on dental restorations such as amalgam fillings, metal or porcelain crowns, etc. Teeth can discolour for various reasons. The dentist will recommend the most ideal method based on your oral condition after an in-office examination to establish the cause and nature of your tooth discolouration. Your dentist will make rubber mouth trays that fit your teeth exactly, allowing us to use powerful bleach to effectively lighten your teeth. 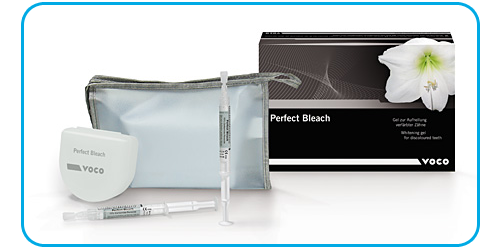 Following this we will give you tubes of bleaching gel and instructions on how to put the gel in the mouth trays. You will need to regularly wear the mouth trays for 30 minutes to two hours, over a period of two to four weeks. Veneers are thin, custom-made shells crafted of tooth-coloured materials designed to cover the front side of teeth to improve the overall appearance of teeth. They are made of either composite resin or porcelain and can be placed to: • correct poorly formed or mildly mal-positioned teeth • close gaps between teeth • mask internal stains • restore partially broken-down teeth Tooth preparation is minimal and confined to the enamel structure. The veneer is bonded to the tooth structure with tooth-coloured resin cement. Several visits are necessary to complete treatment. Patients should be aware that this is usually an irreversible process because it’s necessary to remove a small amount of enamel from your teeth to accommodate the shell. A crown is an artificial cover used to replace missing portions of teeth or to strengthen heavily filled teeth. The crown covers a tooth in order to restore or improve the shape, size and appearance of the tooth. As we get older and lose elasticity in the skin, a permanent crease can form leaving a wrinkle that is noticeable even without muscle contraction. Botox does not get rid of these wrinkles, but may help soften them. When Botox is injected into a muscle that causes a wrinkle in the overlying skin when it contracts, paralysis of that muscle prevents the wrinkle from forming. The effects of Botox are most noticeable in dynamic wrinkles, or wrinkles that are only present when the muscle contracts. This treatment is used to target ‘frown lines’, the vertical lines which form between the eyebrows. Six small injections between the brows are made to soften these lines. A ‘brow lift’ can make your face look more youthful and open up your eyes. Lines around the outer corner of the eyes, known as ‘crow’s feet’, are treated with three small injections on either side of the eyes. 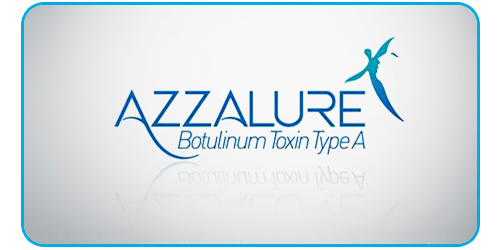 The botulinum toxin injection is quick and painless, usually lasting around 5-10 minutes and results can usually be seen in a few days. As this is not a permanent treatment, it is recommended that the procedure is repeated every three to six months for effective results.